Dr. Harmon and his staff are dedicated to providing you with the best and most convenient treatment options available in Sun City West, AZ. 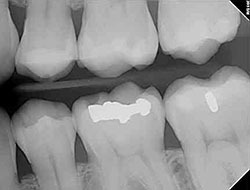 In order to do this, The Village Dental Center team utilizes advanced digital X-ray technology in our office. Digital X-rays provide our staff with advanced imaging options designed to save time by providing clearer dental photos, while exposing patients to lower levels of radiation than with traditional X-ray technology. We are focused on providing the best, most comfortable dental experience available. If any questions arise regarding digital X-rays or the other technology we use in our office, please ask a member of our team during your next visit. We are happy to answer any questions you might have.